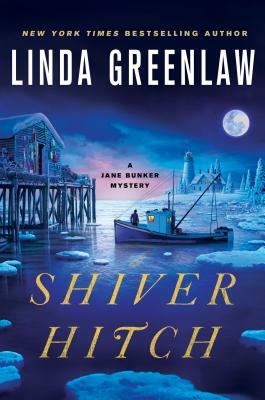 Jane Bunker thought she’d escaped the pollution, noise, and dead bodies of the big city when she left her job as a Miami homicide detective and moved back to the idyllic town of Green Haven, Maine. But through her work as a marine insurance investigator, it appears she’s left behind the bustle of the city, but not the murder. When Jane is called to the remote Acadia Island to assess the damages from a house fire, she also finds a badly burned body in the charred rubble, and it turns out that the victim is the owner of the house, a wealthy woman who just happens to be one of the most hated women in town. As Jane investigates further, she becomes embroiled in a plot as thick as New England clam chowder, which involves convicted felons, a real estate scam, and the deep conflicts between the locals and the summer folks. On top of trying to find what might be a murderer on the loose, Jane is still living with her bonkers landlords, the Vickersons, who are delighted when Jane finds out that her brother Wally (who has Down’s syndrome) is going to move in with them, after losing his assisted living arrangement. It’s all Jane can do to keep all the moving pieces together, much less figure out who would want to burn someone alive—and why. LINDA GREENLAW is the author of the bestsellers The Hungry Ocean, All Fishermen are Liars, The Lobster Chronicles, and Recipes from a Small Island, as well as the Jane Bunker mysteries, including Slipknot and Fisherman’s Bend. Before becoming a writer, she was the captain of a swordboat, the career that earned her a prominent role in Sebastian Junger’s The Perfect Storm and a portrayal in the subsequent film. She now lives on Isle au Haut, Maine, where she captains a lobster boat.